John Butler's 2018 album is "Home." 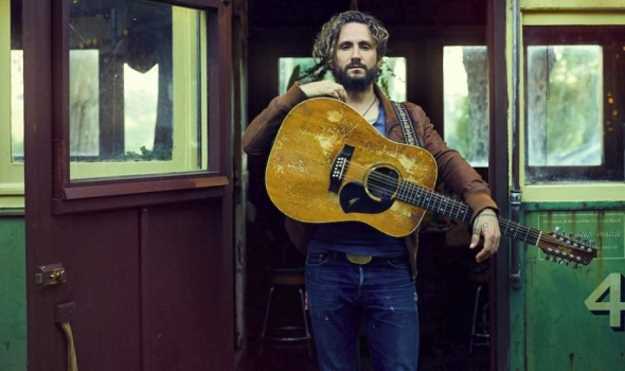 Australian folk-rocker John Butler has never heard Thomas Wolfe's quote with far-reaching implications, "You can't go home again." "I've never even read any Thomas Wolfe books, come to think of it," he says with a chuckle. He and his significant other Danielle Caruana thought nothing of it when they mutually decided to leave their urban home in Fremantle and decamp to his boyhood digs of Western Australia. They assumed familiar haunts would unleash reflection and reminiscences, but it didn't work out that way. His new aptly-dubbed album "Home" was put together piecemeal from several disparate sessions, some tracked solo instead of with his comfortable trio. He even wrote his own rambling label biography that details every change he went through while attempting to record it. "I hope you were able to finish my novel," he adds. Why did you suddenly leave big city life? Well, wherever it is, in the physical, the mental and the spiritual, I personally think that you have to find the home within you. That being said, going home did work for me in a lot of ways. It's just that sometimes, when you go home, you have to go in and see what's inside the house. And sometimes, what's inside the house needs a little spring cleaning. And sometimes, that spring cleaning isn't as pleasant as you want it to be. So - at least for me- I wasn't coming home to escape anything. I was coming home to return. And your missus was just as enthused? It was actually my wife's idea to move to the country. I mean, I grew up in the country. She said, "Are we going to stay here in the city forever? Is that what we've planned?" And I had never really thought about it. Then I started thinking about it more and how much we both travel as touring musicians, and having a place to go back to that is just amazing. Like, right now, I'm in a bus in the middle of downtown Cincinnati, and this where I'm living. So to come home to something that was a complete antidote to that was a strong compulsion of ours. So we settled on seven acres, with wild kangaroos all around, and there's always work to do - building gardens, fixing irrigation, chopping firewood. And it did light a spark. Looking back at the anxiety I was feeling, I realize now that a lot of issues with drama or aggression that I had can kind of take their toll on your partner. I'm not easy to live with if I'm on that rollercoaster, so I had to find another way.